Try D.I.Y. food in Gangwon! Dear all, who loves cooking? 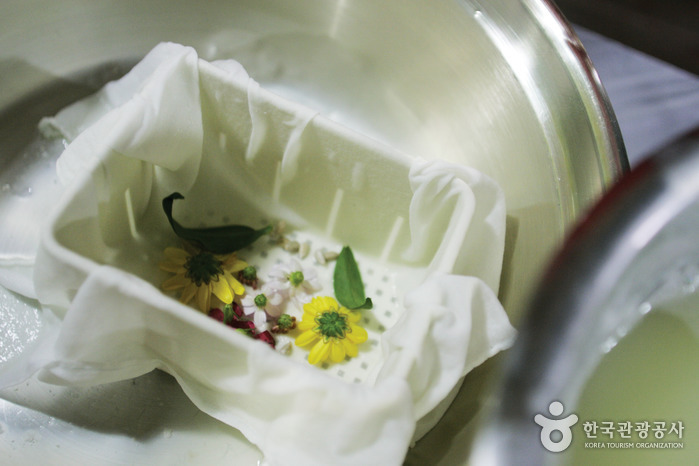 Here we introduce great places for you to try cooking experience in Gangwon. You can enjoy cooking food in a various range from traditional food, fusion food and even coffee as well 😀 Let’s take a look! Wait, you want to try fusion food? Come over to Uiyaji (義野地) Village whereby good people are living in. You can make cheese, icecream, pancake and even pizza with fresh milk from farm! Feeding of sheep, making cheese, chocolate, potato pizza, pizza, ice cream, and candle craft, making of soap, riding an ATV, making strawberry jam, and others. * Programs vary by season and other conditions. Opened in August 2006, the Chuncheon Makguksu Museum is all about makguksu, one of the representative local dishes of Chuncheon. Makguksu is a dish of buckwheat noodles served in cold kimchi broth. The museum includes a buckwheat exhibition hall and a makguksu experience hall. The buckwheat exhibition hall has display materials and information on the origin and distribution of buckwheat, its history, and related foods. 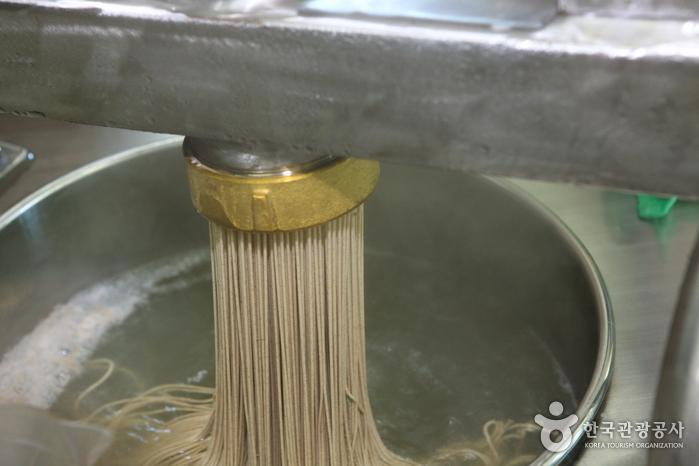 Visitors can get a glimpse of the variety of makguksu noodles throughout its development over time. Galgol Hangwa Village is located in Gangrung. The village is like any other rural village that recalls memories of one’s home town. Galgol Hangwa Village preserves and exudes a traditional aura and spirit. 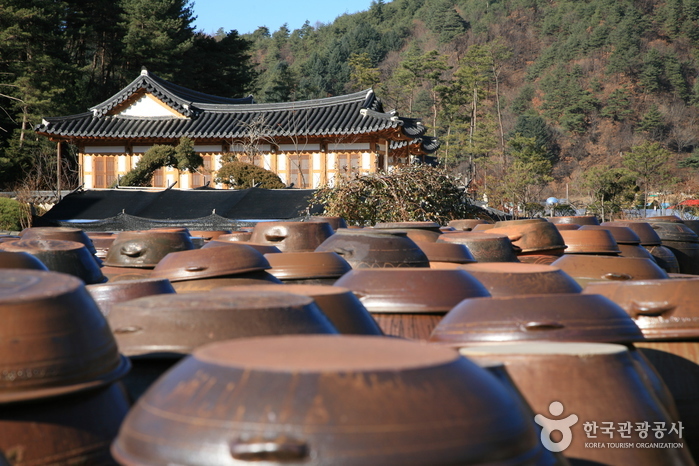 In 1989, it was selected as a village for preserving traditional food. In 2001, it was selected as an excellent village for the New Rural Area Construction Movement. It was also selected as a model village for the information promotion project. In this village, visitors can try frying Hangwa (rice cracker) and decorate with sweet sauce and nuts together. Gangneung City is famous for its coffee has a Coffee Museum which visitors can visit to learn a little about the history of coffee and also experience coffee roasting class. You get to enjoy a cup of coffee or tea of your choice complimentary when you visit this place!